A common question I get is “What are the things to do in Cape May with children?” As the oldest seaside resort in the county, the answer is many things! There are tons to things to do with the children but let me share my top 7 favorites. Next to the Cape May Coast Guard Training Center is the Nature Center of Cape May. They offer drop off and family programs that take the kids across the street to explore nature. 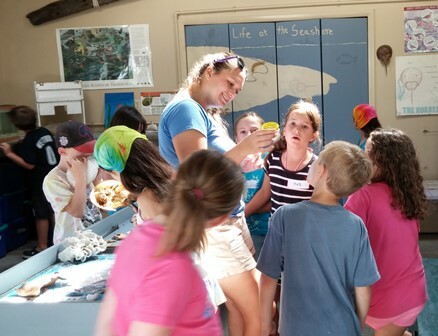 In the summer, they also offer summer camp opportunities, which are perfect for exploring the natural beauty of Cape May. 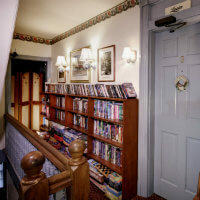 Conveniently, it is only 1.2 miles from Downtown Cape May. Another one of the great things to do in Cape May is take the trolley to see the sights! Trolleys are always a great way to quickly get a wonderful overview of Cape May and all of the 600+ Victorian beautiful houses. The tour guides points out key sites to see while walking around town. Trolleys are always higher than the cars so it’s easy for the children to look out the sides of it. Tickets are available as an add on when you book your reservation with us and at the kiosk at the Washington Street Mall. 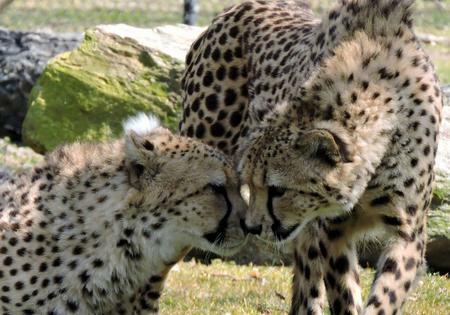 A favorite of families in Cape May is visiting our FREE Cape May County Zoo located only 13 miles from downtown Cape May. There are more than 550 animals to see in a natural scenic atmosphere. The highlight of the Zoo is the seeing the Snow Leopards which were born at the zoo over the last several years. There are less than 200 in the world. Picnic areas available during the warmer months. It’s great all year round and right off the Garden State Parkway at Exit 11. It’s always fun to walk up and down the downtown the Washington Street Mall, which is only open to pedestrians. To many, this 3 block area is considered the center of town. 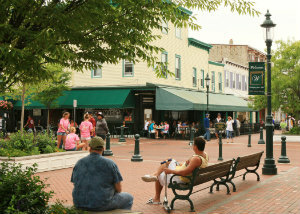 There are lots of great things to do in Cape May just located in this central spot. Two “must stops” for the kids are the Whale’s Tale and the Toy Shop. They are where you can buy Legos in Cape May and they offer tons of sticker books. At the end of the Mall stroll across the street and visit the famous Congress Hall. Several United States Presidents visited it and President Harrison made it his Summer White House in 1890. The kids will enjoy sitting outside on the rocking chairs. In December, they have a wonderful Winter Wonderland for the whole family to enjoy. If you get a chance, take a private tour via the Cape May Carriage Ride. 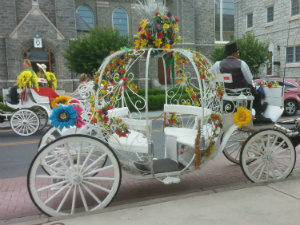 The favorite carriage among the girls is the Cinderella Carriage. At night when the carriage strolls around the town, the outside light change colors and is always decorated nicely. Since there is only one of these carriages call ahead to see if it is out on tours on the day of your interest. It’s tons of fun and a great photo op. All carriage ride plans need to be made at their booth at the corner of Ocean and Washington Streets. Miniature golf is another favorite of the things to do in Cape May. There are several courses scattered around town from which to choose. Two favorites are the Stockton Golf and Cape May Miniature golf. It’s a great evening out too, especially when a soft ice cream follows the round of golf. 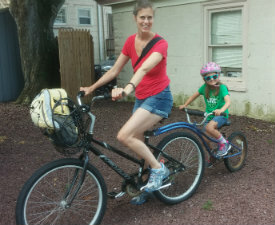 Since Cape May City does not have any hills, biking is a great pasttime. It’s a great place for children to learn how to ride a bike. We encourage our guests to just leave their car parked during their stay and walk or bike around town. Village Bike Shop and Cape Island Bike and Beach Rentals both rent lots of types of bikes. The true family adventure is the Surrey Bike where you all hop on as a family and try to bike together. In addition to the bike shops in town, we have a variety of bikes at our Cape May Inn. What if it Rains in Cape May?? Since we have no control over Mother Nature and there is no local movie theater, we at Antoinette’s Apartments & Suites have solved that problem by providing our families with a wide selection of Videos and Games in our Entertainment Center. What started years ago with the top 10 Disney Videos has now grown to a vast array of options. My guests’ children absolutely love exploring our selections. This entry was posted in Activities and tagged activities, biking, cape may, carriage rides, family, movies, zoo by Deanna Brown. Bookmark the permalink.